[Lincoln], Harold Holzer, LINCOLN AT COOPER UNION: The Speech that made Abraham Lincoln President. NEW copy, hardcover with dust jacket. (NY: Simon & Schuster, 2004). 352 pages. ~~~ Lincoln at Cooper Union explores Lincoln's most influential and widely reported pre-presidential address — an extraordinary appeal by the western politician to the eastern elite that propelled him toward the Republican nomination for president. Delivered in New York in February 1860, the Cooper Union speech dispelled doubts about Lincoln's suitability for the presidency and reassured conservatives of his moderation while reaffirming his opposition to slavery to Republican progressives. ~~~ Award-winning Lincoln scholar Harold Holzer places Lincoln and his speech in the context of the times — an era of racism, politicized journalism, and public oratory as entertainment — and shows how the candidate framed the speech as an opportunity to continue his famous "debates" with his archrival Democrat Stephen A. Douglas on the question of slavery. ~~~ Holzer describes the enormous risk Lincoln took by appearing in New York, where he exposed himself to the country's most critical audience and took on Republican Senator William Henry Seward of New York, the front runner, in his own backyard. Then he recounts a brilliant and innovative public relations campaign, as Lincoln took the speech "on the road" in his successful quest for the presidency. 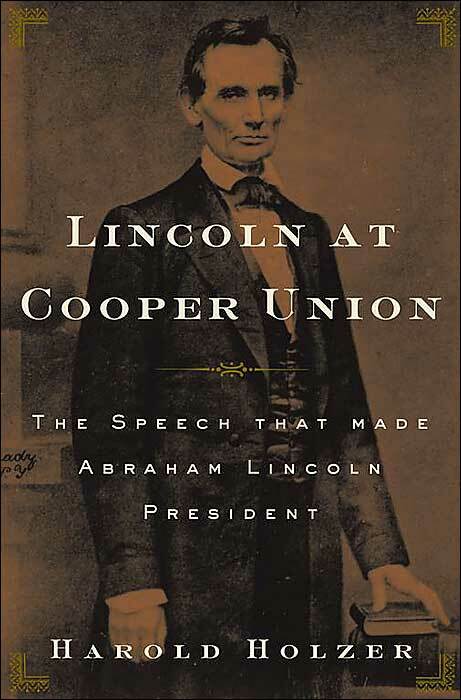 ~~~ From Kirkus Reviews: Had it not been for his "right makes might" speech on Feb. 27, 1860, at New York's Cooper Union college, Abraham Lincoln might well have remained a rustic lawyer and back-country raconteur. One can expect such fond hyperbole from Holzer, who has edited numerous collections of Lincolniana (none reviewed)-speeches, photographs, apothegms, and gossip. Cooper Union is with him (their Web site says the old rail-splitter's appearance there was a principal factor in "assuring him the presidency"). Holzer's structure is chronological -- we learn how the invitation arrived in October 1859 from a group of young Republicans, how the honorarium was an impressive $200 (an amount that Lincoln's political enemies later tried to use against him), how the venue was changed at the 11th hour from Henry Ward Beecher's Brooklyn church, how Lincoln thoroughly researched his topic (the right of the federal government to prohibit slavery in the new territories), how he crafted his address (and supervised its subsequent publication), how his tall, homely, unkempt appearance initially startled his large audience (about three-fourths capacity), how he was introduced by William Cullen Bryant. Holzer's research is prodigious: We learn that 168 gas lamps hissed in 27 crystal chandeliers; we're told about each stop made by the future president's train on his subsequent speaking tour through New England; we read that the Brooklyn ferry ran every seven minutes and cost two cents. Although Holzer is an unabashed (even effervescent) advocate for Lincoln -- and for the significance of this speech-he also is careful to analyze the architecture and rhetoric of the remarks and to puncture some puffballs that have grown in the yard of Lincoln legends -- e.g., that right after the speech he turned down a $10,000 annual salary to work for the New York Central Railroad (the offer was never made). The entire speech -- annotated -- appears in an appendix. Sometimes more laudatory than analytical -- but the enthusiasm is infectious. ~~~ This edition currently OUT OF PRINT. 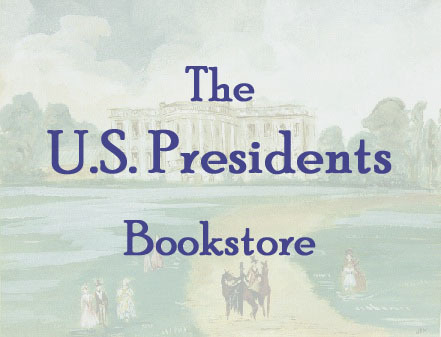 [Lincoln], Ronald C. White, Jr., THE ELOQUENT PRESIDENT: A Portrait of Lincoln. Random House, 2005. NEW copy. Hardcover with dust jacket. 480 pages. ~~ "If America lasts a millennium, it is unlikely that ever a time will come when candidates for office every quadrennium do not turn to the words of Abraham Lincoln, either because their own are inadequate, or because they hope to imbue their own aspirations with some of the mythic echoes of holiness that seem to attend anything that came from the Emancipator's pen. We look to Lincoln's words for comfort in crisis, inspiration for a cause, and most of all to give ourselves a place in the passing ages. He wrote or said something that applies—or can be made to apply — to virtually every human condition and aspiration, and often, when we cannot find him saying what we want him to, we put our own words in his mouth. It is rather in the form of Winston Churchill's conclusions on the legendary King Arthur, that if he did not really live, he should have; if Lincoln did not say something trenchant for every occasion, he should have. ~~ Certainly there is one thing Lincoln should have done that, alas, he was not given life enough to do, and that was to pen his own memoir. None but he could fill in the innumerable gaps in what we know, or think we know, of his life and times. 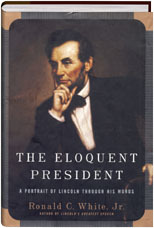 In The Eloquent President: A Portrait of Lincoln through His Words, Ronald C. White, Jr., has made himself Lincoln's co-author. 'Lincoln's eloquence may prove to be his most lasting legacy,' White concludes, and certainly he is well qualified to make such a judgment. The author of Lincoln's Greatest Speech, White has thoroughly plumbed virtually every known written or oral expression left by Lincoln. 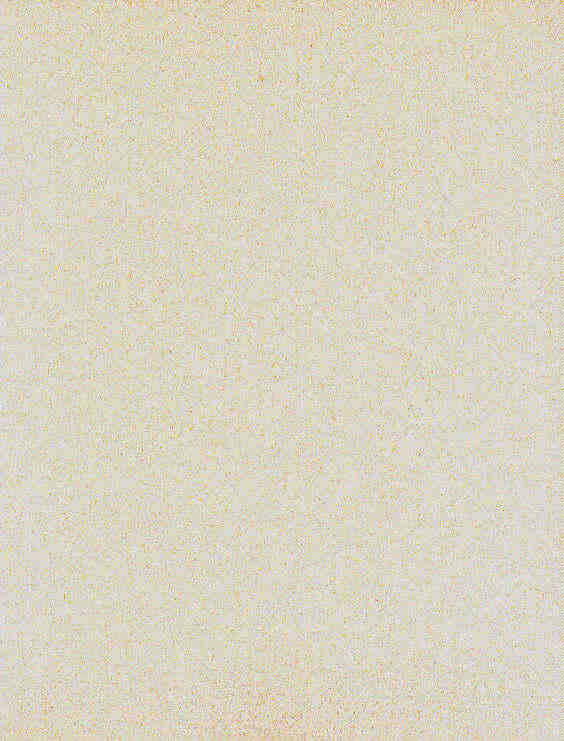 White shows the development of Lincoln's ideas on Union, slavery, and mankind. At the same time he explores the development of Lincoln's written style and literary eloquence, the influences of Elizabethan cadence, biblical rhetoric, and idiomatic American expression. ~~ From Lincoln's earliest recollections of his youth to the hours prior to his death, White explores all the dimensions of what the man had to say about his own life and where he came from, geographically, socially, and spiritually. 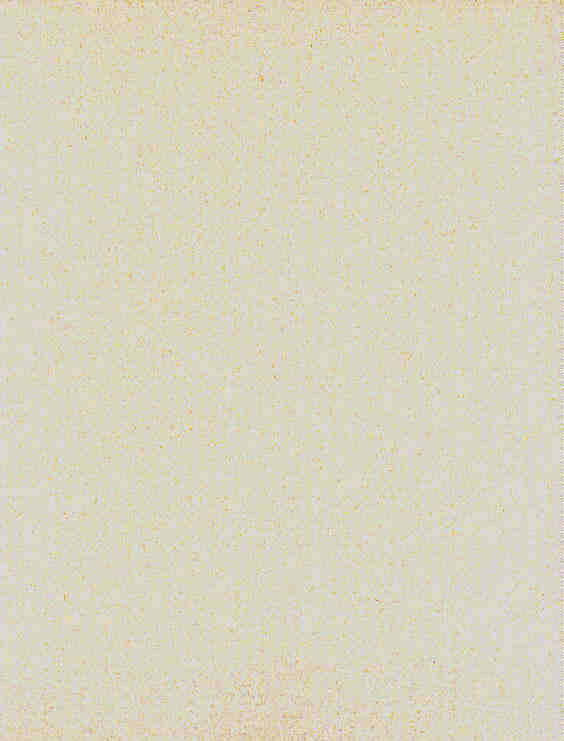 In the process he illuminates many of the time-worn expressions that have seen their meaning lost or clouded through careless repetition. He disassembles some of them almost mathematically, and then delves into the component parts to find the process of Lincoln's thinking as first he persuaded himself, and then crafted his phrases to persuade others. 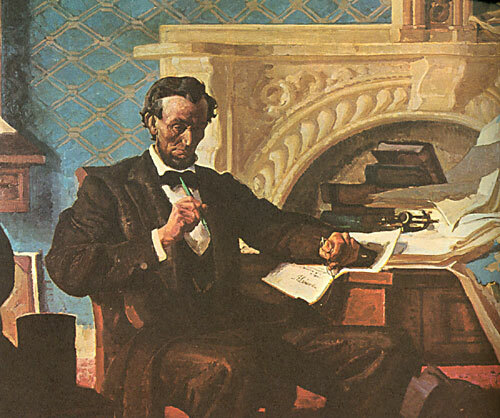 Many have written analyses of Lincoln's style, but no one has explored so deeply or profitably the man's literary thinking, and shown how his words reveal and mirror his own growth. 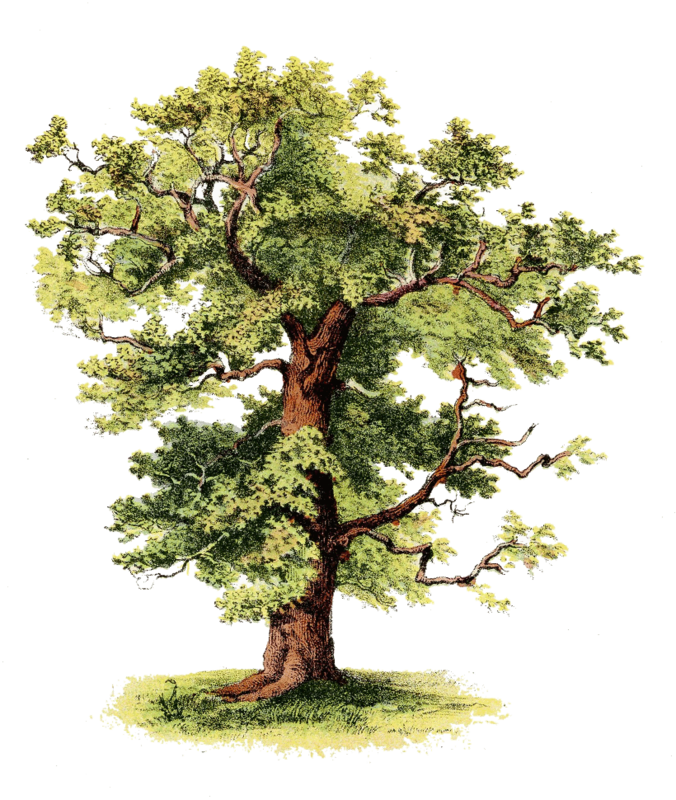 ~~ The Eloquent President ought rightfully to stand as a lasting monument to White's industry and innovation, and to the ageless meaning of his subject's words. As always, and for as long as humankind survive, Lincoln will have the last word." [Lincoln], Wert, Jeffry D., THE SWORD OF LINCOLN: The Army of the Potomac. Simon & Schuster, 2005. NEW copy. Hardcover with dust jacket. 560 pages. 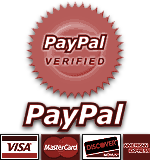 ~~ "Bruce Catton referred to it as 'Mr. Lincoln's Army.' 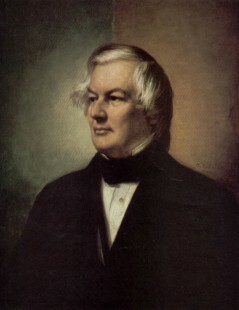 Indeed, he wrote a three-volume history of the Army of the Potomac, the final volume of which earned him the Pulitzer Prize for History. 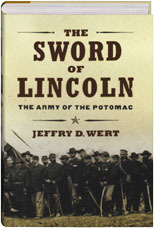 Jeffry D. Wert refers to the army as 'The Sword of Lincoln,' and so it was, as he ably demonstrates in his new book of the same title. It is one of the ironies of the Civil War that while other armies arguably achieved more, in the collective-and selective-memory of most Americans, the Union Army in the Civil War was the Army of the Potomac. ~~ The Army of the Tennessee under its several commanders, most notably William T. Sherman, marched thousands of miles and took the war from Kentucky, across Tennessee, over northern Alabama and across Georgia, then up through South and North Carolina, and was on the verge of entering Virginia when the war ended. It defeated a succession of armies, took several state capitals, and conquered tens of thousands of square miles of the Confederacy, virtually breaking its backbone. By contrast, the Army of the Potomac was never more than 130 miles from Washington and spent its entire war career in the state of Virginia except for dogging Confederate marches into Maryland and Pennsylvania in 1862 and 1863. ~~ Lincoln’s Army ~~ Part of the reason for the continuing focus on the Army of the Potomac is its foe, Robert E. Lee and the Army of Northern Virginia. 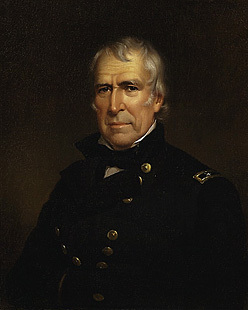 No other Yankee commander faced a foe so wily or able. More of the reason lies in the army’s special relationship with the president. Lincoln almost virtually built that army himself, out of the volunteers he first called to arms in 1861. Because part of its assignment was the protection of Washington, Lincoln saw the army often, knew its officers better than any others, and the men in the ranks had the opportunity to see him repeatedly, thus forging a bond between the two. ~~ Wert describes in telling detail the birth and development of the army, the makeup of its officer corps, the culture that developed within the circles of leadership, often working against its goals, and the spirit of the men in the ranks. Those soldiers endured more defeat than any other Union enlisted men, yet they stayed the course, often in spite of inept leaders, and in the face of the growing legend of invincibility of their foe. They suffered higher casualties than any other Union field army, in the process fighting the most studied and storied battles of the war, from Antietam to Gettysburg, the Wilderness and Petersburg, before Grant and fate finally brought them Appomattox. Wert’s research is pleasingly thorough, and his judgments mature and well informed, as we would expect from the author of half a dozen distinguished Civil War military works. 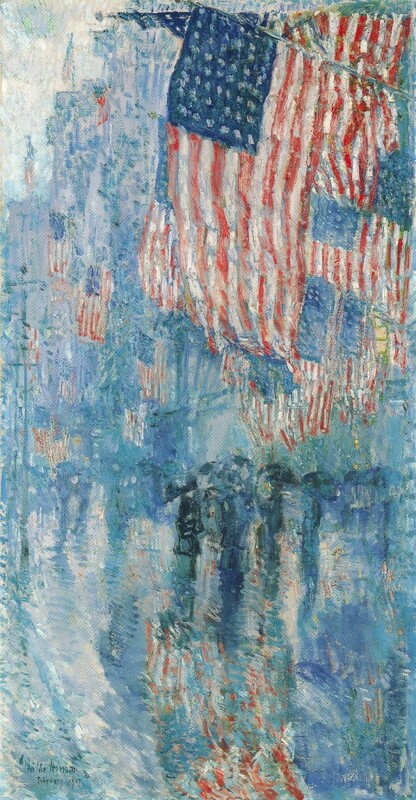 On a subject as big as this, many books could be written, and surely more will be, but Wert’s achievement is to capture the spirit of this virtual city of armed men on whom Lincoln pinned so much of his hope for the salvation of the Union." [Grant] Maihafer, Harry J. THE GENERAL AND THE JOURNALISTS: Ulysses S. Grant, Horace Greeley, and Charles Dana . Washington DC: Brassey's, 1998. As new in as new dust jacket, black boards. 1st edition. HARDCOVER OUT OF PRINT. 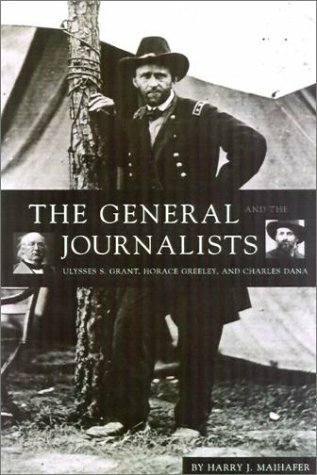 "As both general and president, Grant felt the full power of the press. 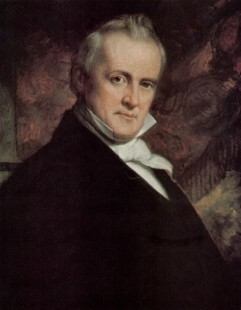 By a remarkable twist of fate, not only his wartime successes but also his peacetime failures were directly influenced by Greeley and Dana, two of the greatest figures of American journalism. The trio provides a fascinating contrast: Grant the simple soldier, basically unchanged from the time he left West Point until the day he died, honor untarnished but reputation sullied by men in whom he placed too much trust; Greeley the idealistic, brilliant, opinionated kingmaker, alternating in wartime between hawk and dove, forever shifting in his allegiances; and Dana the perverse, pragmatic, cynical intellectual, one of the first to emphasize news over editorials. The General and the Journalists follows the three powerful men as their paths cross during the Civil War and Reconstruction. 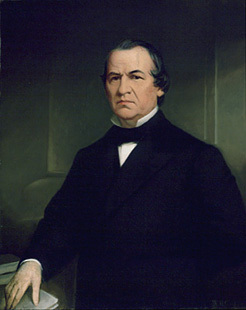 Vividly portraying the 19th century era of "personal journalism," when Greeley and Dana became major players on the national stage, Harry J. Maihafer shows how the media greatly affected the conduct of the Civil War and, to this day, has shaped the public's perception of Lincoln's, Johnson's, and Grant's presidencies. Extensive quotes from contemporary newspapers convey a feeling of immediacy, bringing to life a new and important aspect of Grant's career , one of intense drama and bitter conflict."